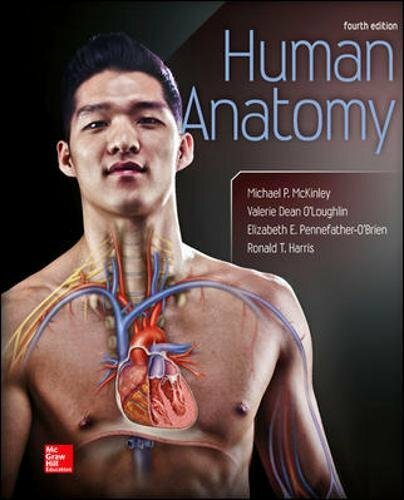 August 31, 2018 lowpricebooks 73525731, Anatomy Books, Michael McKinley Dr.
73525731 – Human Anatomy by Michael McKinley Dr.
73525731 –NOTE:The item does not include Access Code or Connect Plus. With its unrivaled art program and accessible writing style, McKinley et al.’s Human Anatomy stands apart from other anatomy texts. High-quality photographs paired with brilliantly rendered illustrations help students visualize, understand, and appreciate the wonders of human anatomy. The author team incorporates their over seventy years of teaching experience into student-friendly Learning Strategies, Clinical View boxes, and progressive question sets that motivate students to internalize and apply what they’ve learned. Users who purchase Connect Plus receive access to the full online eBook version of the textbook, as well full access to LearnSmart, SmartBook, and Anatomy & Physiology Ӏ REVEALED.